Perfect venue for small parties of 50-100 people. Warm, inviting yet in the middle of the theater district of Downtown Birmingham. We met before the day of the event about the layout and it was ready when I arrived with my decorations. The owner was courteous, professional, and helpful. There was a cash bar, open bar, or no bar option. 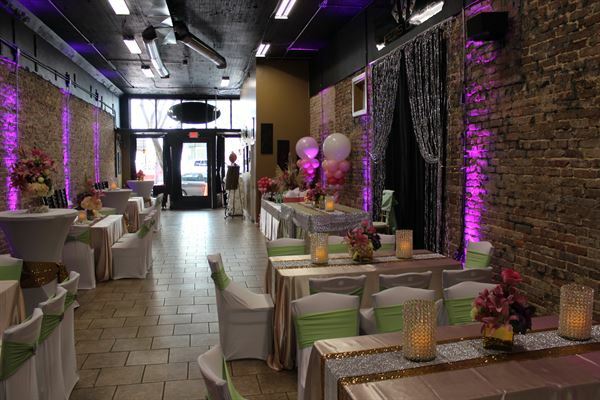 Lighting, various tables, chairs, black table cloths, and sound equipment were all included. I was pleased from the very first conversation to the follow up email, and I will definitely use this venue again.